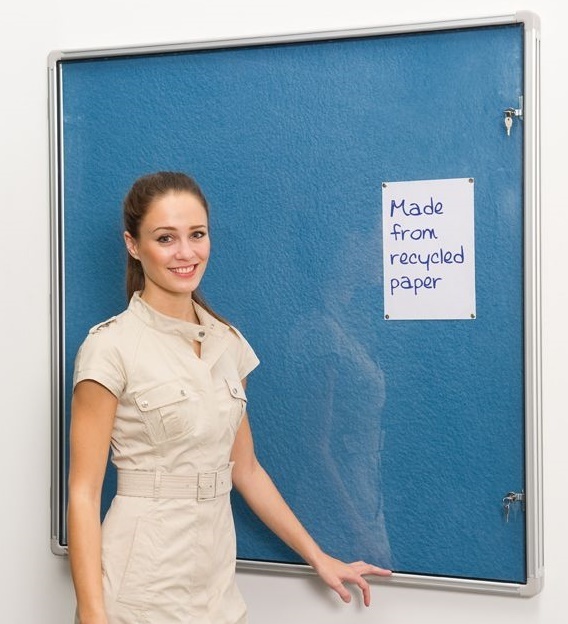 Lockable noticeboards featuring a durable and eco-friendly design. The pinnable and Velcro friendly board is manufactured from 100% recycled newspaper and can be fully refurbished by sanding. This product is available in a range of sizes, with all but the 2 largest sizes being designed for both portrait and landscape use.